From Nate Rasmussen, Archivist, Marketing Resource Center and posted on the Disney Parks Blog. 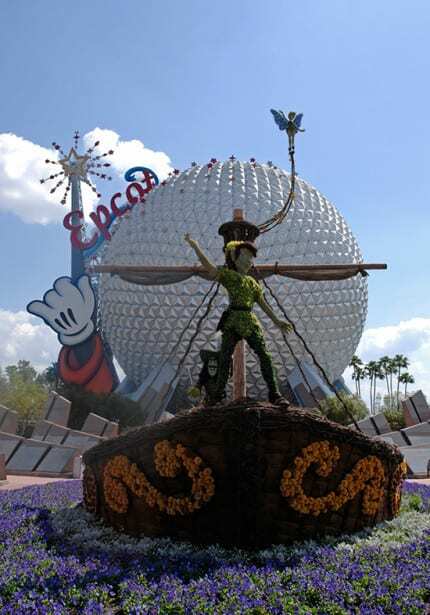 This week, the Epcot International Flower & Garden Festival opened. One of my favorite times of the year, I love to see all the amazing topiaries created by the horticulture team at Walt Disney World Resort. Below is a look at Peter Pan aboard Captain Hook’s pirate ship from the 2007 festival. You have plenty of time to see this year’s topiaries. The festival runs through May 17th.